The Week in HD - Monday 23rd April | What Hi-Fi? Hello everyone, welcome to The Week in HD - our guide to the week's best HD & 3D Tv shows, films, sports, and Blu-ray releases. Daniel Craig and Rooney Mara head this Hollywood remake of the recent Swedish thriller based on Stieg Larsson's Millenium trilogy. 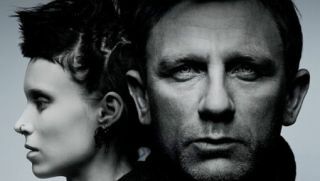 Journalist Mikael Blomkvist and computer hacker Lisbeth Salander team up to solve a 40-year-old disappearance of a young girl and get tangled up in the corrupt world of a powerful family. New housemates Hal and Tom join Annie the ghost as they get to grips with living together at Honolulu Heights while also protecting baby Eve from The Old Ones - with League of Gentleman Mark Gatiss turning in a fantastic performance as vampire king Mr Snow. In the last episode of the series, Rachel fulfills an all-time desire by making crepes with a Parision street vendor, as well as cooking up quiche lorraine and beef wellington. Garden of Bones. The violent consequences of the war over the Iron Throne becomes even more apparent in this brutal episode, where we see what war means to each contender: the Baratheons, Robb Stark, hateful little Joffrey, Tyrion, Dany and Arya all have their own motivations for their part in the war. Incertainties. It's William Shakespeare's birthday today (448th birthday, to be exact) and this inevitably kickstarts a three-part series about Shakespeare and his plays. American scholas James Shapiro looks at the plays written during King James I's reign: King Lear, Measure for Measure, and Timon of Athens. Far Away Places. The work and personal lives of Peggy, Don and Roger are shown through interlacing narratives, featuring ad pitches, LSD, marriage trouble, and Bert Cooper. Debra Messing, Anjelica Houston and Jack Davenport head this show about the dramatic going ons behind a Broadway musical as they search for the perfect Marilyn. Hailed as an adult (and much better) alternative to Glee, it's also produced by Steven Spielberg. It's week 6, and Lord Sugar sends the remaining candidates to Scotland to sell gourmet good on the streets of Edinburgh. Kevin Bridges, Reginal D Hunter and Alistair McGowan take turns on the Hammersmith Apollo stage to deliver an hour's worth of laughs. In a special edition ahead of the 2012 London mayoral election, David Dimbleby chairs a debate between candidates Boris Johnson, Ken Livingstone, Brian Paddick and Jenny Jones. Jeff Bridges, Michael Sheen, and Olivia Wilde star in this remake of the 1982 sci-fi thriller where a boy jumps into a digital world to search for his father. This week's guests are Miranda Hart, Clare Balding, Dale Winton and Richard Bacon. As usual, Rob Brydon hosts with David Mitchell and Lee Mack as team captains. Camping. Lee, Tim, Lucy and Daisy entertain us at their expense by going camping in a dark, spooky forest. Immortal Bard. In a special show for the Cultural Olympiad, David Mitchell, Sue Perkins, Bill Bailey and Alan Davies join Stephen Fry in celebrating Shakespeare's life and works. Vic Reeves and Bob Mortimer return with another series of the zany panel show, with team captains Jack Dee and Ulrika Jonsson joined by Ross Noble, James Martin, Graeme Hawley and Brigitte Nielsen. The Voice goes live for the first time, with group performances and then a battle between Team Tom and Team Will. I'll keep recommending this film because it's so much fun to watch. There's never a dull moment as Tintin gallops across the globe in search of a lost pirate treasure with drunken Captain Haddock. Steven Spielberg and brilliant animation - what's not to love?